ARC is delighted to have been awarded Pensions Law Firm of the Year at the 2018 Financial Times PIPA Awards. 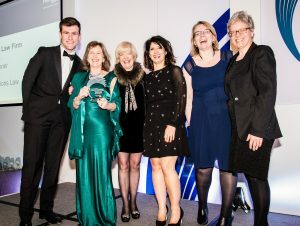 The win is one of many recent successes, including ARC being Highly Commended as Pension Law Firm ofthe Year at the Pensions Age Awards, winning Specialist Law Firm of the Year at the British Legal Awards and Best Strategic Leadership at the MPF Awards for Management Excellence. “To have got here from a standing start, in less than three years, is something we’re all very proud of at ARC. The ceremony took place yesterday evening at the Sheraton Hotel on Park Lane.